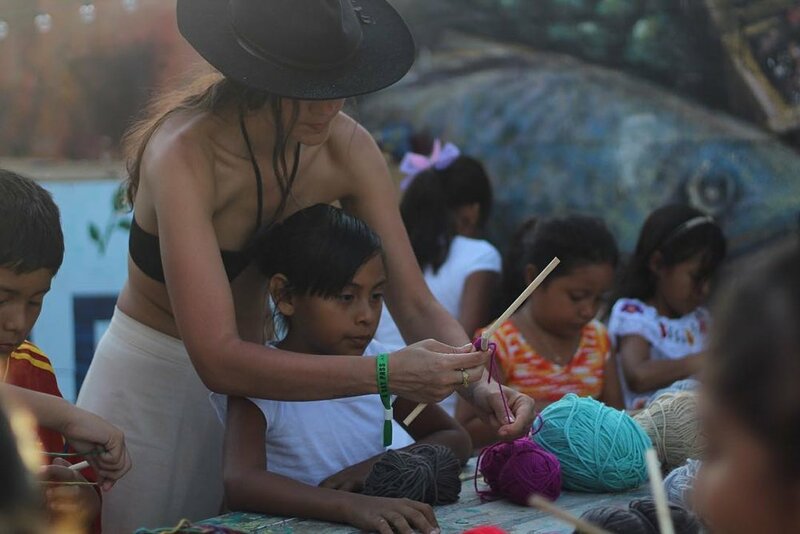 DIANA GARCÍA created a workshop called "Ojos de Dios" with the kids of LADLE, she also made a intervention of her project "BE WHAT YOU DREAM" at the skatepark in Tulum Town. Diana's purpose is to share the message BE WHAT YOU DREAM. Her murals and guardians of street art, Uniwolfcheetah, Jicuri and others, can be seen on multiple walls in Mexico and the United States.